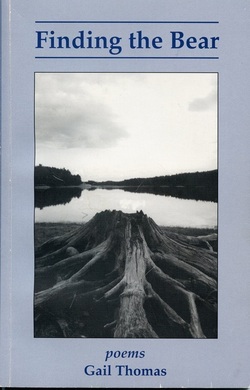 “These are poems of deep caring and clear observation of the natural and political world. Thomas is fearless in treading where a poet of less courage would not enter...above all, these poems are a celebration of life and sensuality." To order a signed copy of Finding the Bear: email Gail or send a check or money order for $12 + $2.00 postage to Gail Thomas, P.O. Box 60044, Florence, MA 01062.